The Pittsburgh Penguins made it through Round One of the playoffs with no small amount of guts and gumption. Their play was sloppy and, at times, it seemed as if the entire team was sleep walking. I will not even get into the needless penalties taken. Those mistakes cannot happen during round two. 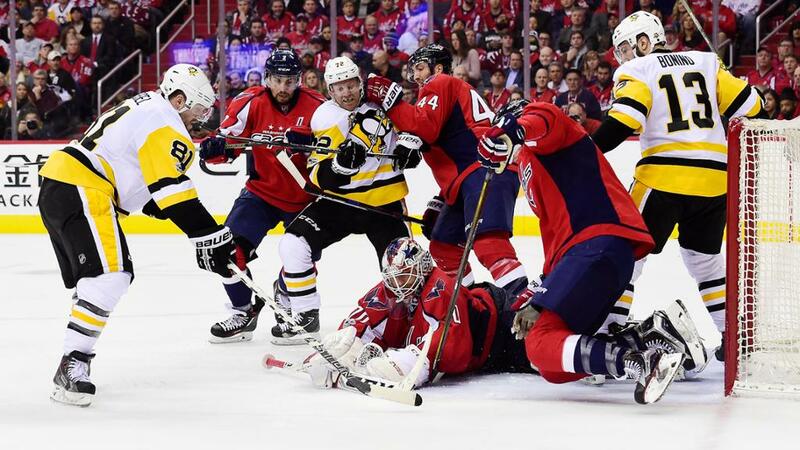 Once again the Penguins will face their Metropolitan division rivals, the Washington Capitals, who have a knack for pouncing on every little mistake and taking advantage of it. The Penguins have won eight out of the last nine series they have played against the Caps. In fact, the last time the Capitals won a series against the Penguins in the playoffs was in 1994.To put that into perspective, rookie forward Jake Guentzel had not been born yet and Sidney Crosby was still playing pee-wee hockey. Past success is not proof or validation of the now. The now is that the Capitals are still the same juggernaut they have always been, with the same players who like to try and break an opposing team to bits. They are a team that seemed to struggle against a fast Toronto Maple Leafs club that was lucky enough to even be in the playoffs. However, the Capitals hunger to overcome their usual post-season fate seems to be more fervent this year. The now is that the Penguins do not have the same defense they are used to having in the past but have made up for it with the development of four well- balanced scoring lines. The now is the Penguins are finally getting (almost) every injured player back at the right time. The now is a possible swan song for a beloved goalie, thrown back into the spotlight at the last minute, who is eager to make one last run to the finals with the team he loves. The NOW is the fact that this series will go one of two ways; it will either end quickly or be drawn out for all seven games and possibly cause fans on both sides to reach for the closest alcoholic beverage. The "experts" (you know, all those people ESPN just let go) have the Capitals as heavy favorites and this should surprise no one. Though the President's Trophy winners claim that they are or are feeling like the underdogs due to the Penguins being the defending Stanley Cup champions, the betting pool and "expert" picks would show otherwise. The mountain placed before the Penguins is a daunting one, but one that has not climbed the summit of before. It will take the entire team and no small amount of willpower to make it to the top. Along with possessing and executing the play with the heart of a warrior, here are a few other keys to overcoming the Washington Capitals. No slow starts: In the first series against the Blue Jackets, the Penguins formed a nasty habit of starting the game slow and flat footed. The first period would be played almost entirely in the defensive zone and the Pens would register few shots on goal. Though the team would rebound in the other two periods, having a mediocre or downright terrible first period will not bode well against the Capitals. It will be up to Head Coach Mike Sullivan to utilize short shifts in order to keep his bench fresh and manage the ice time accordingly as to keep players from lagging behind due to over-exertion. Limit defensive zone time and shots on goal: This goes along well with my first point. The Penguins have to make sure to get on their forecheck, win puck battles, and get in the way of shots on Marc-Andre Fleury. The Pens cannot afford to leave MAF hanging out to dry. The fewer shots that get through the defense, the better. Taking away neutral ice is also important as it can force puck turnovers that can be used for scoring opportunities. 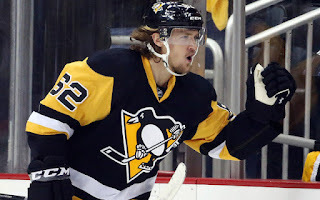 The Penguins are fortunate to be getting back Chris Kunitz and, quite possibly the best forechecker in the NHL, Carl Hagelin at the right time. Speed: The return of Carl Hagelin not only brings back his aggressive forechecking abilities, it also brings back his speed. The Penguins will have to use Hagelin's speed skating ability, along with that of Bryan Rust, Conor Sheary, and Jake Guentzel to their advantage. As mentioned before, the Capitals seemed to struggle to keep up with the quick feet of the Toronto Maple Leafs and it's hard to lay a heavy on someone that can't be (or is hard to be) caught. Getting up and down the ice and into the offensive zone quickly and efficiently, and perhaps create some odd man rushes, will be another big factor. Crash the Net: There are few things a goalie hates more than having an opposing player constantly in his wheelhouse. Luckily for the Penguins, there are multiple members of the team that tends to make their living right in front of the net: the notorious Patric Hornqvist and, as of late, Bryan Rust. Pair those two with the various other forwards and their "shoot first" mentality and you have scoring threats across the board. It will be imperative that the Penguins start as picking up rebounds and deflections off goaltender Braden Holtby more and more because the more you pepper him with shots at close range, the better chance the Pens will have of putting one or more pucks past him. The saying "Buckle Up, Baby" is used a lot but in this case, strapping in for this ride will not be enough. The boys in Black and Gold, as well as fans, are going to need a seat belt, over the shoulder harness, and maybe even an extra helmet by the time it is all said and done. How this series plays out is anyone's guess. The Penguins know what and who they are up against. They also know how to get the job done, even if it means putting in a little (or a lot) of overtime.